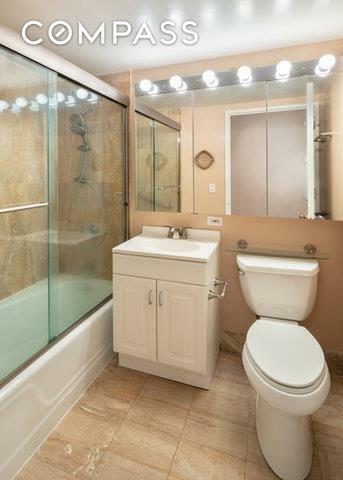 Large and lovely studio apartment at the architecturally-distinctive Alexandria Condominium, where youll enjoy premier full-service amenities and a prime Upper West Side address! A gracious entry foyer with 2 sets of large double closets invites you into Residence 3M, with a tiled full bathroom and separate kitchen to the right. Beyond is a light-filled living/dining room with a big angled picture window offering wonderful city views where you can relax and host guests, complete with a discreet built-in Murphy bed. The Alexandria affords an incomparable lifestyle with full-time doorman/concierge service, 4 passenger elevators, a service elevator, live-in super, health club with sauna/steam, a swimming pool, landscaped garden, rooftop deck, laundry on every floor, lounge, childrens playroom and private storage. 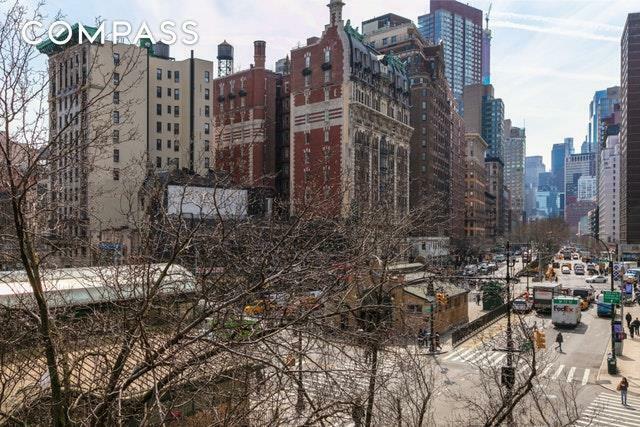 The prized location at the corner of 72nd Street and Broadway puts you in the heart of the neighborhood minutes from Central Park, Riverside Park, Lincoln Center, fine shops and restaurants. Gourmet food markets are also right at your disposal with Trader Joes across the street and Fairway and Citarella nearby. The express and local subway stop just outside your door to make getting around town a breeze. 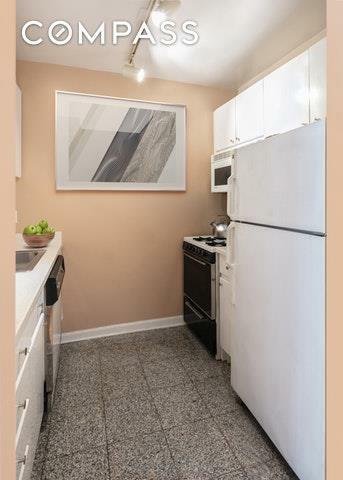 Very reasonable common charges/taxes enhance the allure of this highly desirable building. 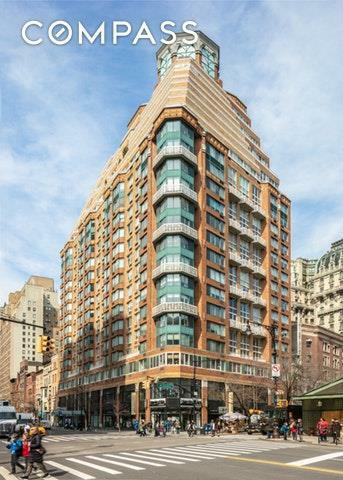 A perfect home, investment or pied-a-terre, as pets and subletting are both allowed.